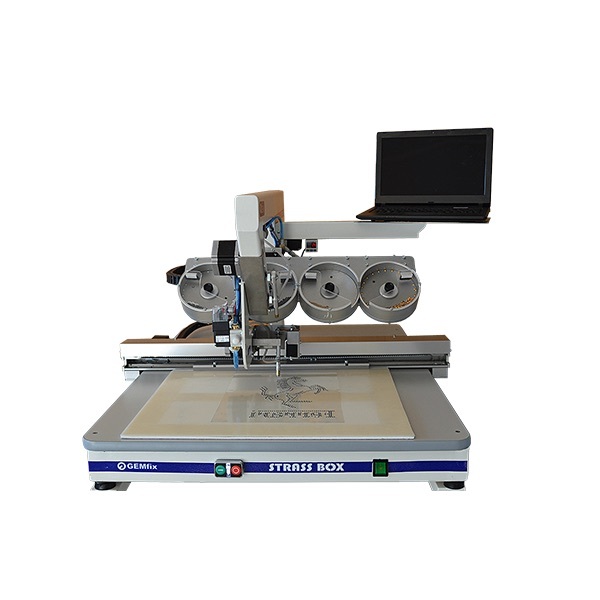 GEMfix Strassbox Pro, is an automatic rhinestone and rhinestud transfer machine. This rhinestone transfer machine can be used in the customization industry or at an industrial level. 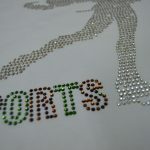 With this rhinestone and rhinestud machine you can stay completely focused on designing the transfers that your creativity desires. Automatic machine for rhinestone and rhinestud transfer production. The vacuum pump eliminates the use of compressor. Simple, compact and low cost. 4 sizes or 4 colors in the same design. Max. Speed: 200 rhinestones per minute. Reliable and low cost maintenance. From SS 6 (2mm) until SS 20 (5mm). Easy and intuitive creation software.